The Croatian film scene has remained largely inaccessible until now. In this first comprehensive volume on the subject recognized scholars explore not only its recent history, since the establishment of the Croatian state, but also revisit its development during the Yugoslav period. By introducing readers to the complex political and artistic circumstances, the authors approach animation, documentary, and feature films, through questions of style and vision, social engagement, industry, national identity, gender, audience, and domestic and international reception. 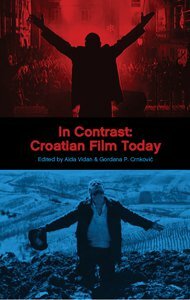 In depth interviews with some of the most prominent Croatian film directors provide insights into their artistic practices while also serving as first-hand testimonials to both socialist and transitional cultural environments. Encompassing a rich selection of films with a broad palette of themes and styles, the review section provides an indispensible guide through a little known world. Aida Vidan is Researcher in the Milman Parry Collection of Oral Literature and Instructor in South Slavic Languages and Literatures at Harvard University. She is the author of Embroidered with Gold, Strung with Pearls: The Traditional Ballads of Bosnian Women (Milman Parry Collection & Harvard University Press) and co-author of Beginner’s Croatian and Beginner’s Serbian (Hippocrene Books). Gordana P. Crnković is Associate Professor of Slavic and Comparative Literature at the University of Washington, Seattle. She is the author of Imagined Dialogues: East European Literature in Conversation with American and English Literature (Northwestern University Press) and Post-Yugoslav Literature and Film: Fires, Foundations, Flourishes (Continuum).